When last I left you, we were just finishing up the cruise portion of our trip. 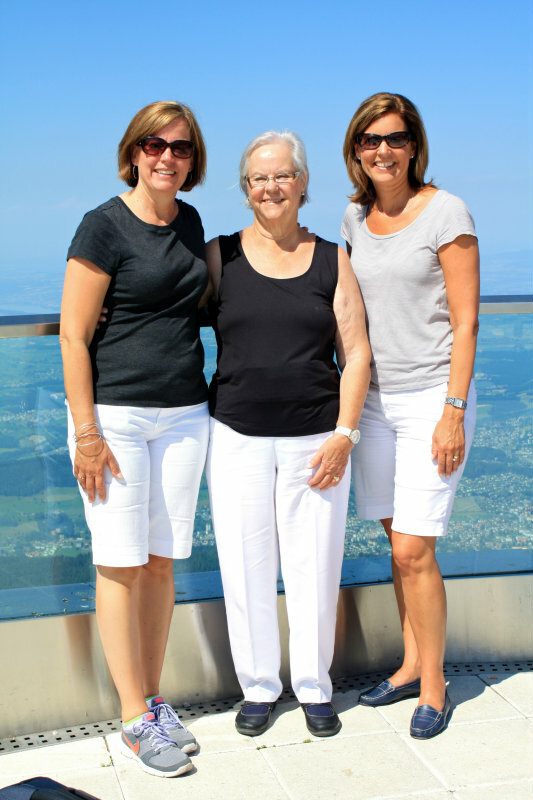 Sadly, we had to say goodbye to my sister, Jodi, when we docked in Basel, our last stop (actually, she left in the middle of the night, so I'm not sure we properly said goodbye to her at all!). Jodi has a baby (have I mentioned that?) who needed to see her mama. Or maybe it was the other way around. At any rate, Jodi had planned to stay for a week, then head home. Sorry, Jodi. You'll have to save Switzerland for another time. If it weren't so danged expensive, I would live here. Truly. It is one of the most beautiful places I've ever been. And I've been to a few places. 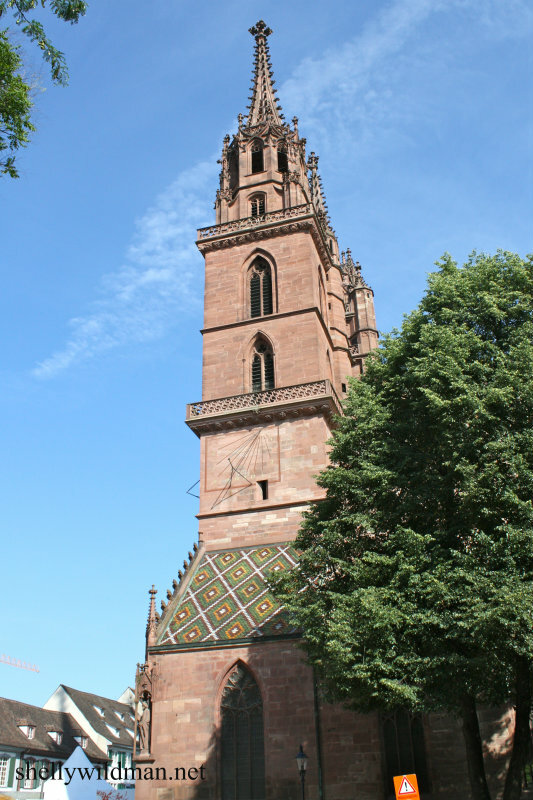 As I said, we docked in Basel, sorted out the luggage situation between those who were staying with the group (like us) and those who were heading elsewhere (I honestly don't know how they do that), and boarded a bus to take us into the Old Town. Here's where I have to stop and say that our guide was lovely, the town was, I think, lovely as well, but I didn't take many pictures because a) I was getting tired and b) it was so. blasted. HOT. Truth be told, we kind of dragged ourselves around Basel, as any good been-on-a-ship-for-a-week-and-we're-getting-a-little-tired-of-arranged-tours kind of tourists would do. Once the tour finished, we sat at an outdoor cafe for as long as we dared and basically just waited until we could get onto our air conditioned bus again. Here's what I got out of Basel. 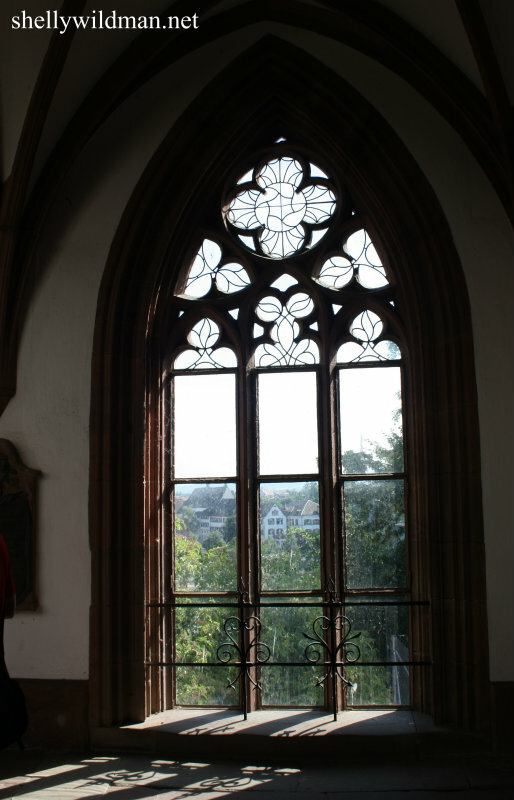 They have a beautiful medieval church. 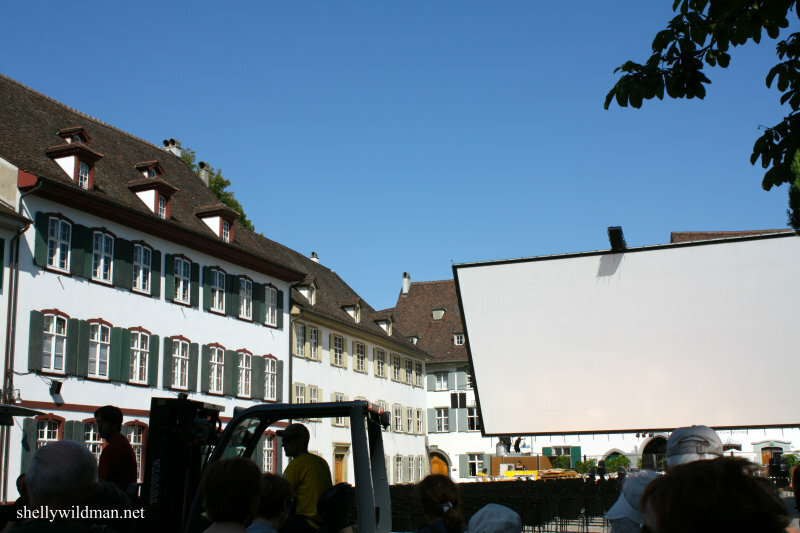 In the summer, the church square is used as a huge outdoor movie theatre. I would have actually liked to stay and check that out at night--it looked very cool. And, as in many places in Europe, nannies drag children around on leashes. On cobblestone streets. Aren't these some of the most adorable children you've ever seen? That face! And that's pretty much what I got out of Basel. Except for Swiss Francs which I got out of the ATM. After a half a day in Basel, we finally got on to our air conditioned(!) bus to drive about two hours to Lucerne. I had never been there before, but I am fairly certain I will be back. What a beautiful town. 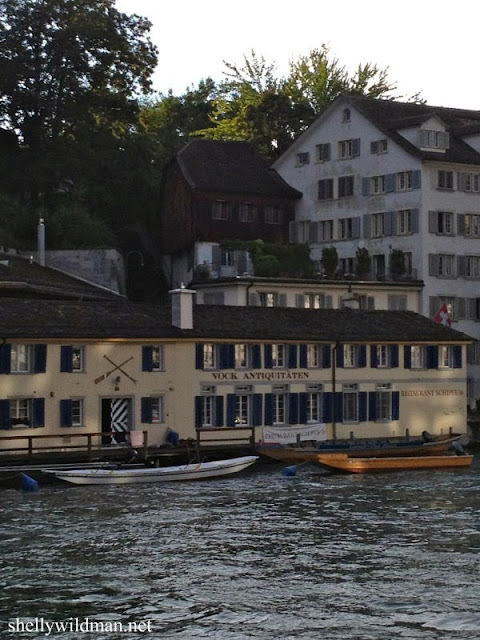 Smaller than Zurich, easily walkable, and truly, truly gorgeous. The famous wooden bridge--lots of history there. Mom, Jenn, and I walked the length of it one night after dinner. Speaking of dinner . . . this is the restaurant where we ate, Pfistern. Historic and touristy--just how we like 'em! But the food was really good, AND we got to sit right on the water. So fun! 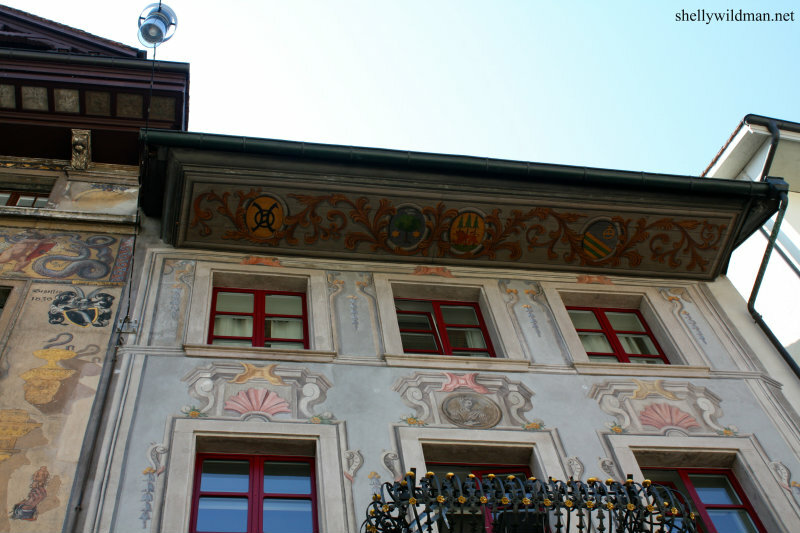 So many of the facades of the old buildings were painted--even the fascia! I was astounded by the Old Town as street after street looked just as they probably looked hundreds of years ago with cobblestone streets and painted buildings. I really need to go spend more time here. 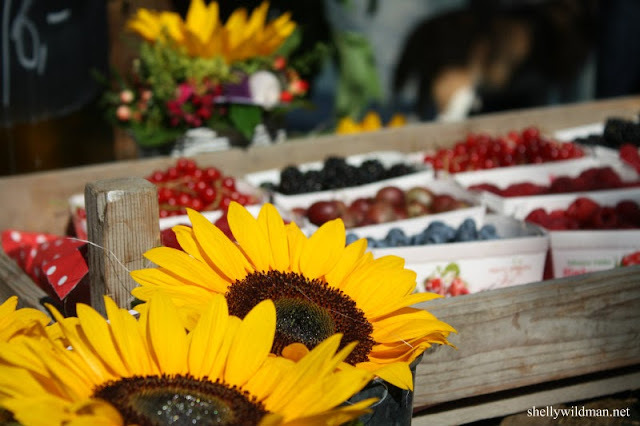 On Saturdays there is a wonderful outdoor market right along the river, filled with every kind of delicacy you can imagine--from flowers and fruits to fresh vegetables and cheeses. I am convinced that Heaven will have some sort of market like this for us to wander around. On our second day in Switzerland we took a trip up Mt. 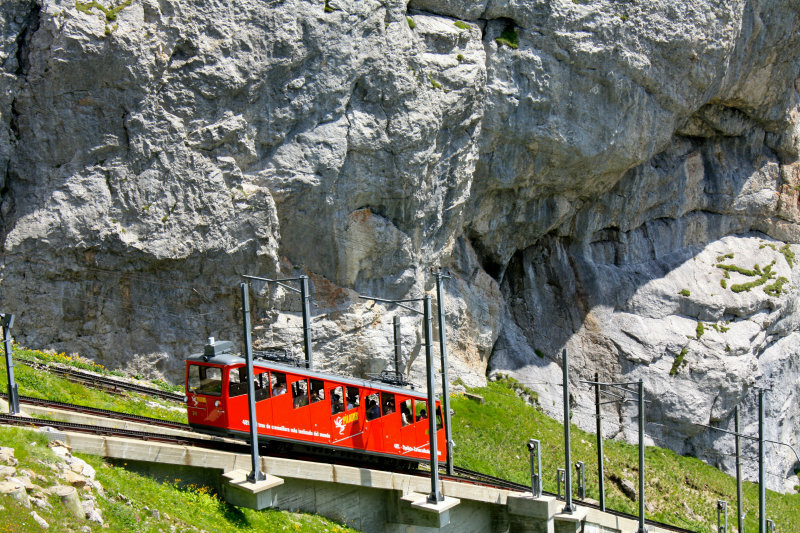 Pilatus on the world's oldest and steepest cog wheel train. Just think about that for a minute. Me, who is terrified of heights, stepping on to, not only the steepest climb on a train that you can take, but also in the oldest train cars. Yeah, I was a little scared. 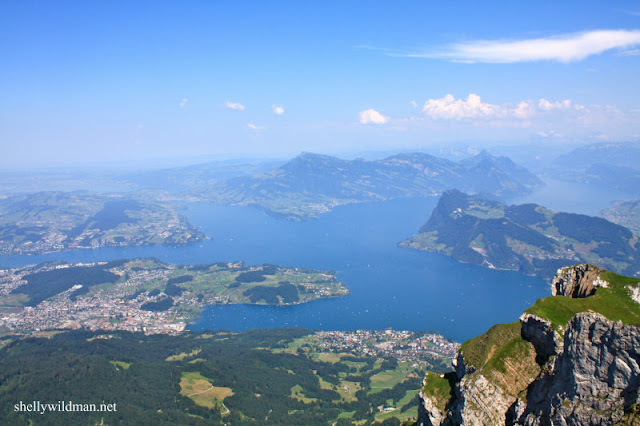 But not as scared as one guy in our group who decided just to hoof it back to Lucerne as fast as he could. Because here is the reward we received when we got to the top. No, it's not a postcard, even though it looks like one. Truly breathtaking. Finally, I could not stop taking pictures of this tiny, tiny church sitting up on top of a nearby mountain peak. 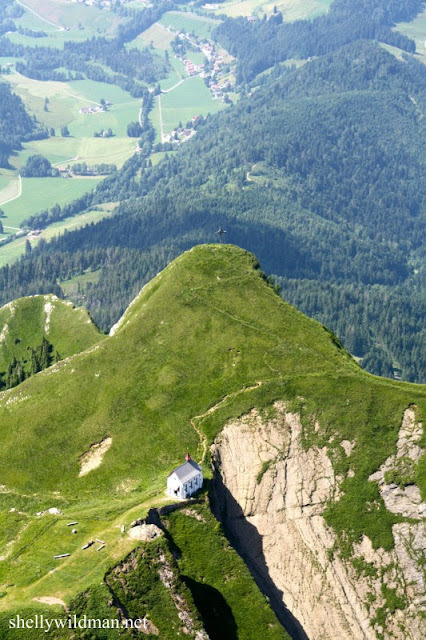 How I would love to be able to hike there and spend a day worshiping there. Can you see the cross at the top of the peak? 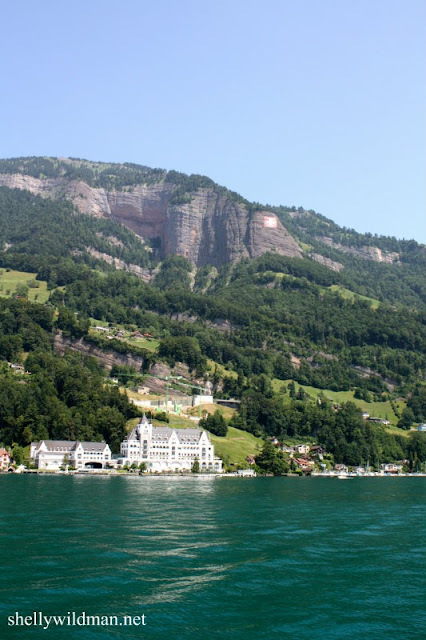 The next day we boarded a little boat which would take us from one corner of Lake Lucerne to the other. I tried to take some pictures, but they really didn't do it justice. Once we reached the shore, we boarded busses which would take us on a very memorable drive through the mountains and villages of Switzerland until we reached our final destination, Zurich. On our drive we rode past the Victorinox factory where Swiss Army knives are made--cool!--and the area which inspired Johanna Spyri to write the famous book, Heidi. You can just imagine how gorgeous that was. The last stop on our wonderful, amazing trip was Zurich. 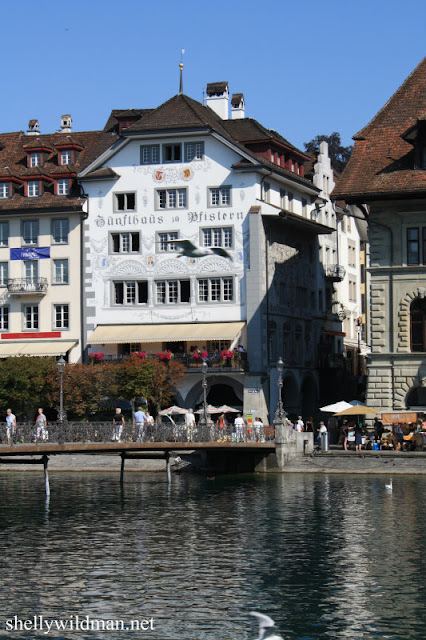 I had been to Zurich before--for about four hours on a Sunday night before catching a flight out the next morning--and knew how beautiful this city was. It was a special treat to be able to spend a little more time here. Sadly, and probably because I had been here before, I didn't take many pictures here. It was pouring rain on the day of our tour, so the camera had to stay hidden underneath my jacket. And once the rain stopped, I was just too tired to even bring it out. 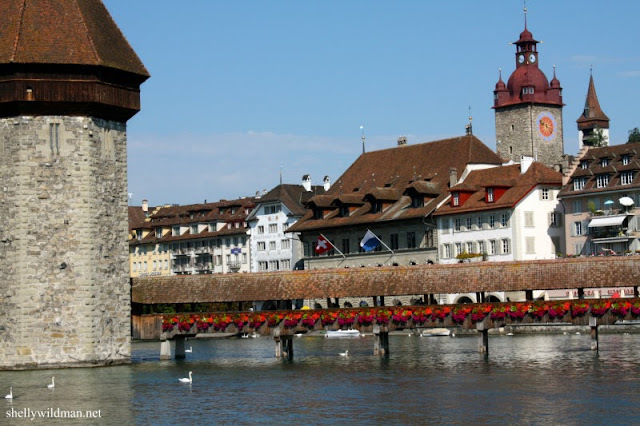 Suffice it to say that Zurich is definitely a place you want to put on your bucket list. It is beautiful. What more can I say? 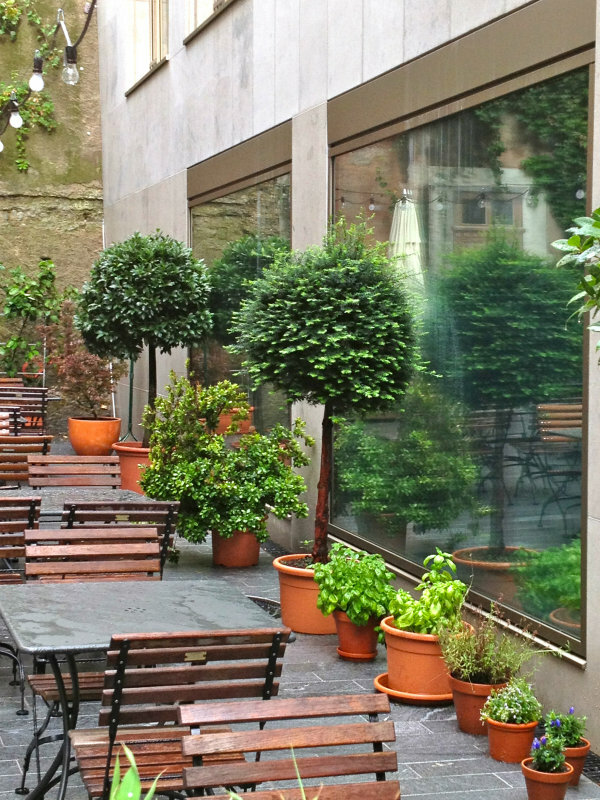 I absolutely fell in love with the way they decorate with herbs and green plants there. Isn't that cool?! 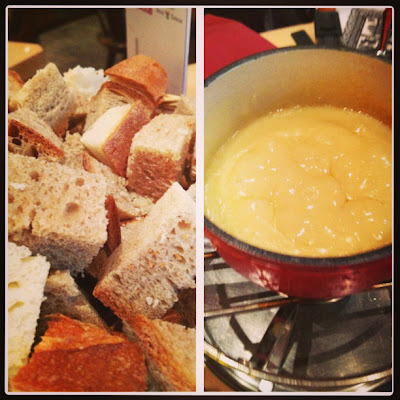 Plus, they have fondue. Which is delicious. And made with my favorite food. I could eat it every day. 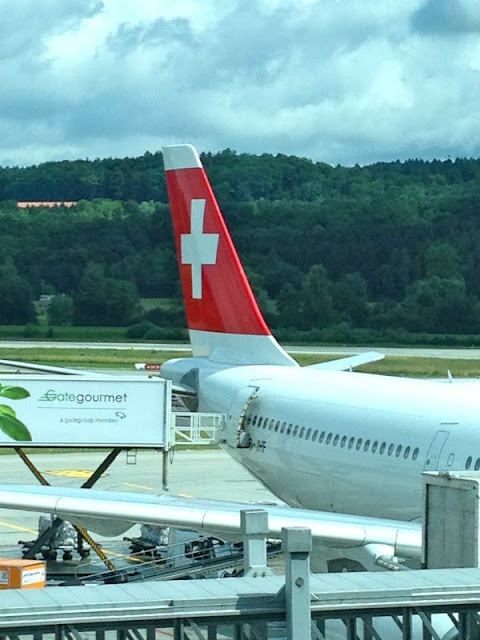 Go to Zurich. See it. Experience it. Walk your socks off and eat it up. Zurich is wonderful. Finally, reluctantly, we got on a plane and headed home. When I say it was the trip of a lifetime, I really mean it. Never again will I be able to experience just this trip with these special people whom I love and meet the new friends we met and see the exact things we saw. It was absolutely magical, and I'll never forget it. Thanks, Mom, from the bottom of my heart. 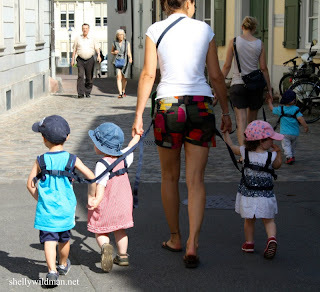 When Christy was about 5, she saw her first kids on a leash (can't remember what European city we were in.) ... she, being the justice girl that she is, got super mad. "What, do they think their children are dogs!" It sounds wonderful even to a non-travel person like me. And I was kind of relieved to know that Jodi went home after a week. I was worrying about Gracie! Did your hotels have A/C? When we were in Russia there was no A/C anywhere and of course they told us it was the hottest summer they could remember as well. Those kids were adorable. 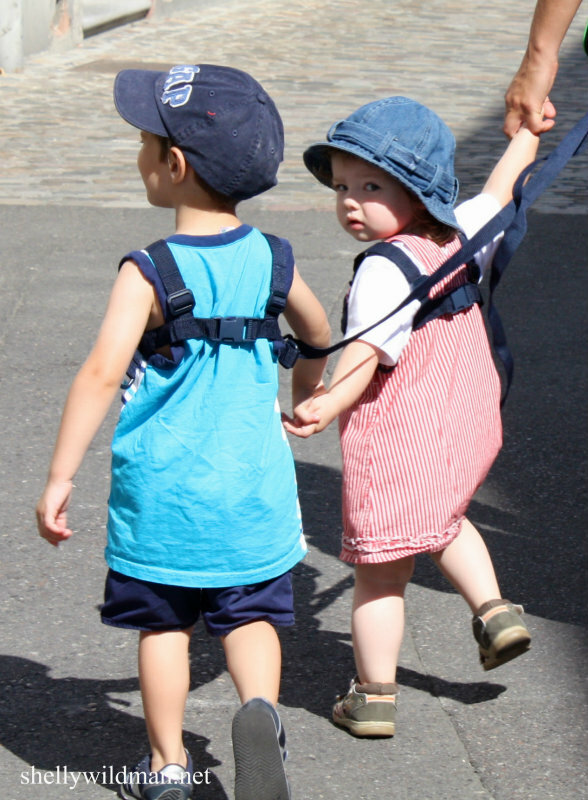 I used a leash on my two younger boys at times when I had three kids ages 4 and under. I loved their little hats. That's how the orphanage kids were in Russia. Except minus the clothes. Just underwear and hats. Hats off to your mom for doing this trip with you girls. What memories!